By Lavinia P. Middleton, MD, et al. Onboarding delays cost institutions time and money, and also affect the morale of job candidates. A team at the University of Texas’ M.D. Anderson Cancer Center set out to reduce the time to onboard by 25 percent — and succeeded. ABSTRACT: Onboarding delays not only cost institutions time and money, they also affect the morale of job candidates. To address concerns regarding physician engagement, alignment and productivity, a team at one institution set out to reduce the time to onboard clinical faculty by 25 percent. The current onboarding process was mapped, owners of each step of the process were identified, and the emerging connectivity of data systems explored. Learn how the team achieved its goal — and identified additional issues to address. Our institution, the University of Texas’ M.D. Anderson Cancer Center, recently experienced the successful replacement of our electronic health record, and the effect on clinical faculty onboarding was initially underappreciated. Departments and divisions were not always aware of updates in the law and the necessity to record a provider’s clinical privileges and delineate his or her privileges for credentialing and reimbursement. In attempts to streamline the credentialing process and permit providers to see patients sooner, some initial decisions to improve the process were made that hampered both provider experience and reimbursement. Specifically, categories of temporary, expedited credentialing were created that were not recognized by payers, creating instances where providers were working without the appropriate billing documentation to get paid. To inform and assist in the design and implementation of enterprise-wide onboarding, we studied and created flow maps of our current, suboptimal state. To help credentialing departments prepare for integration with pharmacy, benefits and other components of the EHR, we identified key points of integration for interoperability of data and improved the fidelity of legacy data. Using employee-driven Kaizen suggestions and Lean tools for improvement, we created a value stream map of our process and removed nonvalue-added steps to decrease the time to onboard clinical faculty. To better understand the process and outcomes of recruiting clinical faculty in academic medicine, we initiated a series of stakeholder meetings to define the onboarding experience and the parameters of the current process. Selection of committee members was based on the role and expertise in the hiring process, and the team consisted of administrative and faculty subject matter experts in the disciplines of radiation oncology, internal medicine and surgery. Representatives from faculty academic affairs, medical staff and credentialing services, institutional billing and compliance, and institutional technology rounded out the committee. 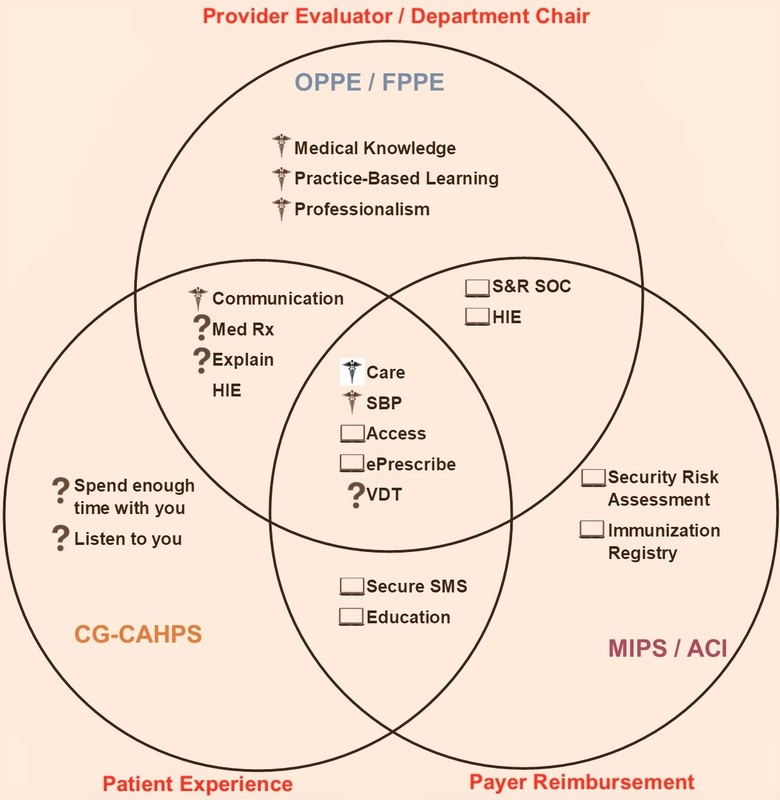 Six one-hour meetings occurred over a course of six months to define the current state of the onboarding process post implementation of the EHR, map the steps and determine how much time it took from deciding to hire clinical faculty to the time that the practitioner was practicing medicine in our environment (see Figure 1). Concurrently, we interviewed recently hired faculty, department chairs and division heads to learn from and act on their onboarding experiences. Questions included assessing the provider’s impression of the onboarding experience and soliciting recommendations for improvement. In total, 12 newly hired faculty members from outside academic medical institutions were interviewed and their recommendations for process improvement were recorded. Administrative policies and medical staff bylaws were reviewed and revised as necessary for consistency. We separated the recruitment and onboarding process of clinical faculty into five subcategories. The first was position request, candidate recruitment and selection. 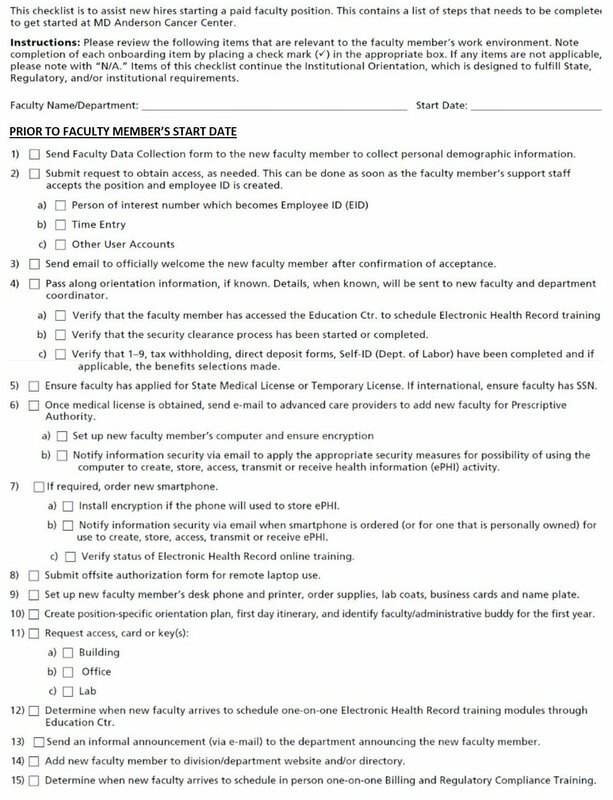 Similar to other reports stating academic faculty recruitment can take between seven and 12 months with tremendous variability in time,3 we found that the baseline range to hire new faculty in our institution, from the time the position was requested, recruitment authorized, advertisement placed and interviews scheduled, could range from 90 to 130 days before the candidate was selected. Variables that increase selection time are seniority of the position and whether international candidates were part of the applicant pool. The second began when the hiring clinical department initiated the generation of electronic faculty-appointment letters, notifying the candidate, medical staff and credentialing and the chief academic officer of the selection. The candidate received an offer letter with contingencies listed, the state-mandated credentialing application, required credentialing documents and provider enrollment forms. While the target to complete the credentialing packet was 30 days, the baseline amount of time to complete and return this packet often exceeded several months. During this time, there was a lack of transparency with both the hiring department and clear communication of instructions and expectations for the applicant. The third was the actual credentialing process itself, which determined that the candidate was who they said they were and could perform the job they were hired for. The Joint Commission and Centers for Medicare & Medicaid Services require that the candidate provide documentation of training, malpractice, prior work experience and peer references to attest to their capabilities and documentation of current clinical competence.4 The work of credentialing begins with primary source verification and is tightly regulated by both the Commission and CMS. Our baseline time to process applications was 83 days but showed a wide variability because of the need to solicit necessary documents, verify and receive responses to gaps in employment history and evaluate peer references. Additionally, during this time, the applicants’ work history was examined, a criminal background check was performed, and the National Practitioner Data Bank was queried. As expected, there was a strong correlation between the greater number of prior work experiences and the time to verify employment and obtain peer references. Completed applicant packages were forwarded to the hiring department for final review of adverse findings, if identified, and to the credentials committee of the medical staff for review. The fourth involved committee review of the requested criteria-based privileges, approval by the executive committee of the medical staff with routing and recommendation to the president, and preparation of the contract for signature. On average, this process took three weeks. The fifth focused on access to our systems and described the period of time after the academic faulty member signed their contract but before they were able to be productive and see patients. This process entailed creation of an employee identification number, email account, electronic prescribing account and completion of training modules designed to ensure compliance with security, institutional technology, professional billing and federal requirements. It was surprising to learn that this latter process took, on average, four additional weeks to complete. 1. There is a greater need for innovation and disruption in the onboarding process. Prior improvements had been implemented as part of an already-complex process that solved temporary problems related to changes in health care law and reimbursement, thus creating an overly complex and cumbersome process. In fact, the process of and duration of faculty recruitment and hiring has not changed appreciably over the years, despite improvements in technology and data exchange.4,5 Moreover, regulatory changes in provider reimbursement and documentation of clinical privileges have necessitated greater coordination of provider data and documentation of competencies. Advancing blockchain technologies, providing the ability to create secure documentation of each provider’s academic and work experience likely will improve the process. 2. Our most notable observation was the need to have greater visibility of the hiring process internally coupled with greater transparency with the hiring department and education to the applicant. This need was the driver of the focus for improvement, specifically improving the quality and interoperability of the applicant data across platforms including credentialing, privileging, pharmacy, finance and compliance. Stakeholder meetings were held to define the process and the work-around created by inefficiencies in the process. Establishing trust was essential in understanding the new processes, complexities and interdependencies after implementation of the EHR. Software was used to perform value-stream mapping with the identification — and later elimination — of nonvalue-added steps. Interviews with newly hired faculty and post-hire survey responses highlighted the need for greater visibility and engagement with the applicant during the onboarding processes that took several months. Similarly, interviews with recently hired administrative staffers and established administrators exposed the need for a central repository outside of individual departments that contained both the process and a glossary of onboarding acronyms associated with the onboarding process, frequently used but rarely defined or completely understood by all stakeholders. The greatest barrier we encountered was the reluctance to explore alternate and emerging technologies to simplify and integrate the onboarding process. By eliminating nonvalue steps, we reduced the time to onboard clinical faculty by 25 percent during the first six months of 2017. A conservative estimate of the return on investment was $900,000, taking into account the newly hired provider’s clinical specialty, their standard working hours, their professional billing and hospital charges, and their ability to see patients sooner. Further process improvements subsequently have reduced the time to onboard new clinical faculty from a baseline average of 257 days to 133 days (see Figure 2). These improvements have occurred in an environment where the number of faculty being credentialed and privileged has increased by 52 percent (see Figure 3). By mapping and studying the entire onboarding process, we learned that incomplete data collection at the time of privileging and credentialing, along with “expedited credentialing,” had a negative effect on billing and provider reimbursement. Specifically, to expedite the processing of clean “Category 1” applicant files lacking deficiencies, credentialing specialists adopted a method of “expedited credentialing,” but government and private payers were not recognizing it as a valid form of provider peer review, and the providers’ billing was being denied. It wasn’t until there was a thorough review of denials and a complete understanding of the interdependencies of the onboarding process that the consequences of such a policy became evident. The process was reviewed and revised to ensure compliance with the managed-care payers. This process ensured that complete applications that met specific criteria were taken through a shortened approval process that was agreeable to the payers. An essential component to the process was creating the justification for software upgrade and training to capture data elements across disparate departments. Standardizing the data for interoperability throughout the system required both a cultural shift to explain the root cause for inefficiencies and propose a technological shift to use provider data for downstream applications. CMS’ condition of participation and the Joint Commission have emphasized that the documentation of qualifications and competencies for privileging, regardless of prior training or membership in a speciality body or society, can no longer be assumed as competencies, but criteria established are considered in the decision to grant a requested clinical privilege.6 Current credentialing software enables a provider’s core privileging data to be electronically linked to pharmacy data, billing claims and reimbursement. By communicating these expectations with the departmental and divisional leadership during both the hiring process and recredentialing of established providers, we explained the value placed on measurable, uniformly applied and defensible criteria for delineation of privileges. Overlap of Accreditation Council for Graduate Medical Education’s core competencies with quality and patient experience metrics as potential focus opportunities for evaluating practitioners who are credentialed and privileged through the medical staff. LEGEND: OPPE — Ongoing Professional Practice Evaluation; FPPE — Focused Professional Practice Evaluation; Hx — history; S&R SOC — send and receive summary of care; HIE — Health Information Exchange; SBT — Systems Based Practice; VDT — View download and transmit; Secure (SMS) — text messaging; CG- CAHPS — Clinician and Group Survey: Consumer Assessment of Health Care Providers and Systems; MIPS — Merit- Based Incentive Program; ACI — Advancing Care Information. While it is too early to realize the improvements from creating a rigorous review of the delineation of privileges and ongoing professional practice evaluation at the time of credentialing, early evidence indicates that there is a greater alignment with organizational directives and strategy surrounding documentation of competency around the Accreditation Council for Graduate Medical Education’s core competencies, current federal quality metrics, and patient experience metrics (see Figure 4). Moving toward a paperless process, we created a basic checklist to hire clinical faculty listing the steps required to access our systems and learn our processes. 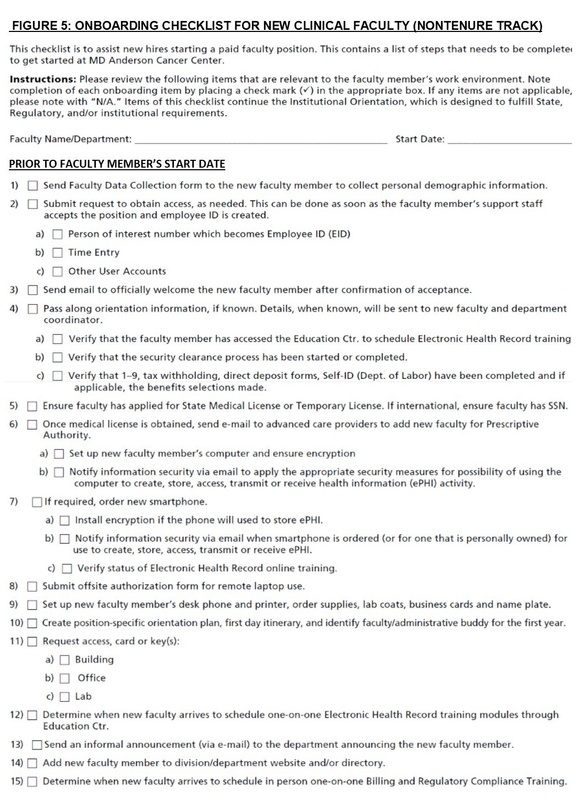 Working with our legal team, we were able to create a process for newly hired faculty to access our online learning system before arrival at our institution, further reducing inefficiencies and improving the provider experience (see Figure 5 below, or click here for checklist in .pdf format). This improvement project accomplished its intended goals to decrease the time to onboard clinical faculty and eliminate nonvalue-added steps. Embarking on this process improvement project directly after enterprise-wide EHR implementation allowed for success, as the new technology was primed for electronic connectivity with our professional credentialing, pharmacy and provider-billing services. 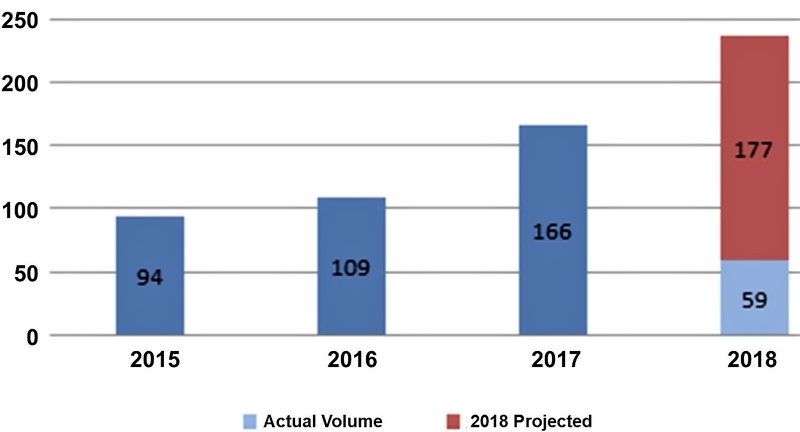 While there hasn’t yet been much disruption in the heavily regulated process of credentialing and privileging clinical faculty in the academic medical setting, standardization of provider credentialing profiles, linking provider data with the EHR, and using distributed ledgers and available blockchain technology promise to lend efficiencies in hiring, documentation of clinical training and privileges, billing and revenue capture. Another, less-quantifiable outcome of the demonstration project was the benefit gained from the exposure of the first author to various components of the institution’s leadership. The nature of the project allowed for one-to-one interactions with senior institutional leaders. 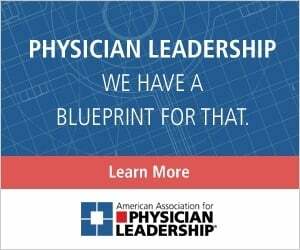 As recently recognized in an editorial in American Society of Clinical Oncology Post9 and in an article in the New England Journal of Medicine,10 mentorship combined with exposure to high-functioning teams, and experience with change management, strategic planning and finance, are required to develop the leadership skills necessary to influence physician engagement and alignment. Issues beyond the scope of this improvement project surfaced in the review of the interviews with newly hired faculty entering the institution, and were related to a desire for more formalized and extended faculty development with integration into the health system. Similar to the findings by Clark, et al.,11 structured mentoring during and directly after the onboarding experience holds the promise to improve faculty productivity, engagement, career satisfaction and, ultimately, patient outcomes. 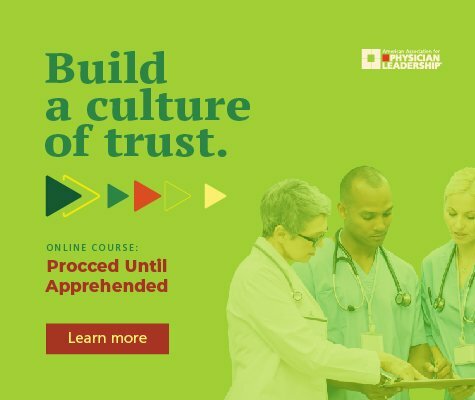 A real opportunity lies in creating individualized educational content for the practitioner to complete during his or her professional career and a secure repository that addresses regulatory and compliance needs. Lavinia Middleton, MD, is the deputy CMO of medical affairs and vice chair of quality for the pathology and laboratory medicine division at M.D. Anderson Cancer Center in Texas. Lourdes Thompson, MBA, BSN, RN, PMP, CPHQ, is a project director for medical affairs for M.D. Anderson Cancer Center in Texas. Evelyn Starr-High, CPCS, CPMSM, BSHA, is director of medical staff and credentialing services at M.D. Anderson Cancer Center in Texas. Elizabeth Travis, PhD, is associate vice president for women and minority inclusion at M.D. Anderson Cancer Center. She also serves on the board of directors of the Association of American Medical Colleges and Association of Women in Science. Danna Kurtin, PhD, is associate vice president of academic and visa administration at M.D. Anderson Cancer Center in Texas. Alma Rodriguez, MD, is professor of lymphoma and the former vice president of medical affairs at M.D. Anderson Cancer Center in Texas. Ethan Dmitrovsky, MD, the former provost and executive vice president at M.D. Anderson Cancer Center in Texas. He now is president of Ledios Biomedical Research and laboratory director of the Frederick National Laboratory for Cancer Research in Maryland. With thanks to those who contributed and provided their time and expertise in working together to successfully complete this demonstration project. Gaul P. Onboarding is critical. td.org/magazines/td-magazine/onboarding-is-critical. Association for Talent Development. Accessed Jan. 15, 2018. Marsh JD, Chod R. Recruiting faulty leaders at U.S. medical schools: a process without improvement? Acad Med. 92(11):1564-8, Nov. 2017. Schloss EP, Flanagan DM, et el. Some hidden costs of faculty turnover in clinical departments in one academic medical center. Acad Med. 84(1):32-6, Jan. 2009. Accreditation Council for Continuing Medical Education. 2015. acgme.org/acgmeweb. Accessed March 12, 2018. American Board of Medical Specialties. 2015. Based on Core Competencies. abms.org/board-certification/a-trusted-credential/based-on-core-competency. Accessed July 24, 2015. Joint Commission Online. e-edition.jcinc.com/MainContent.aspx. Accessed March 11, 2018. Finley, A. High-Tech help for the Freelance Physician. wsj.com/articles/high-tech-help-for-the-freelance-physician-1490393841. Accessed July 23, 2018. Indeed.com. How long does it take to get hired from start to finish? indeed.com/cmp/Department-of-Veterans-Affairs/faq. Accessed July 23, 2018. Travis EL, Dmitrovsky E. Smashing the glass ceiling in medicine. ASCO Post. 2017 ascopost.com/issues/october-25-2017/smashing-the-glass-ceiling-in-medicine. Accessed Aug. 9, 2018. Lerman C, Jameson L. Leadership development in medicine. N Engl J Med. 378:1862-3, May 17, 2018. Clark T, Corral J, Nyberg E, Bang T, et al. Launchpad for onboarding new faculty into academic life. Current Problems in Diagnostic Radiology. 47(2):72-4 Mar.-Apr. 2018. Note: Click here for this checklist in .pdf format.